This novel was probably my least favorite book in the series. Normally I love the Alpha and Omega series, almost more than I do the Mercy Thompson series, but this book just really fell flat for me. The pacing was off, the plot was a bit dull (Briggs has done enough with evil fae, I'm ready for something new), and I just didn't feel a sense of urgency. 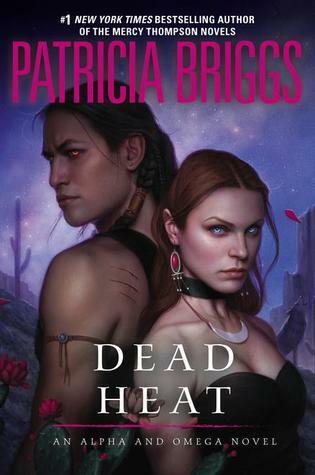 It took me much longer to read this installment than it should have, as a result, and Anna and Charles didn't really stay true to character, which also bothered me. I'll continue this series, but I'll do so hesitantly. Anna had baby fever in this installment, which made me lose all respect for her. Way to ruin a great character by making her conform to societal norms, Briggs. Charles was just dull, and the secondary characters didn't really stand out to me. None of them mattered. I didn't care who lived and who died as long as Anna would quit acting like a loser. The plot itself read more like a kidnapping and murder mystery than a supernatural novel, and that bored me, oddly enough. I like the paranormal shows and books better than most murder mystery shows, but I usually like murder mysteries, too. This one just didn't grab me. I didn't care who was guilty. I just wanted it all to end. The pacing was really slow, and too much day to day crap was shown, in my opinion. I just got really annoyed by everything in this book. Even Briggs' writing wasn't up to par. Overall, I'd say if you already started this series, then go ahead and give this one a try, too. Other people seem to like it a lot more than I do, so I must be in the minority. I'm the opposite-I loved the Mercy Thompson series and I just never took to this series and I'm not really sure why. It was a long time ago that I read the first book and I might go back to it if I ever clear my current tbr!